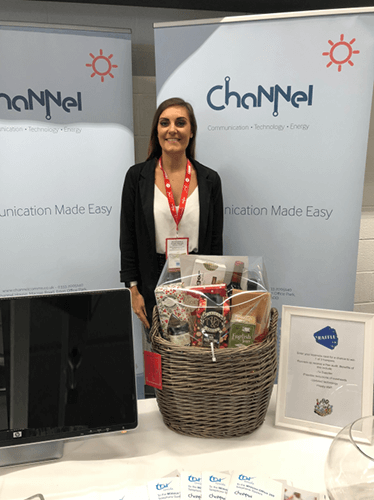 On Wednesday 10th October 2018, Channel’s Sales Director, Nick Boulton and Business Development Manager, Hannah Passey, headed down to Ashton Gate, but not to watch any football or rugby. Instead, they joined over 200 other businesses exhibiting at the Business Showcase South West. The largest free business exhibition in the South West, Business Showcase South West has become a significant event in the local business calendar. With an impressive list of speakers, including Mark Wright of the Apprentice, Rachel Elnaugh of Dragon’s Den and Richard Bearman, UK head of Small Business of HSBC, plus a series of workshops and seminars held throughout the day by the likes of Google, Xero and Facebook, the event is a great opportunity to bring local businesses together to showcase their products and services. 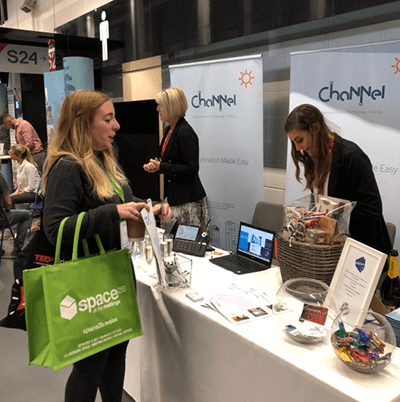 Armed with sweets, branded goodies, Prosecco and luxury hampers to give away – we’re delighted that our stand proved very popular throughout the day. 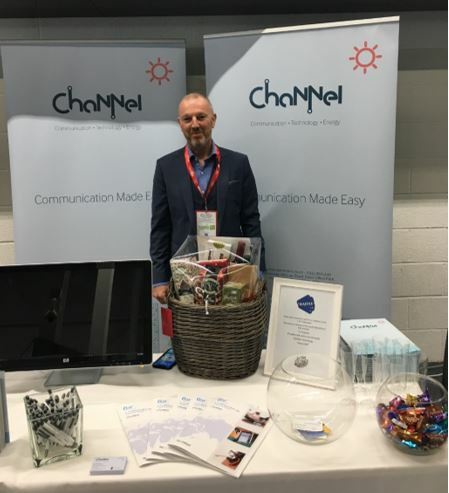 As Channel is a local business operating in Bristol for well over 30 years, Nick and Hannah were privileged to meet so many great people and have the opportunity to demonstrate the latest Mitel call handling technology to them. 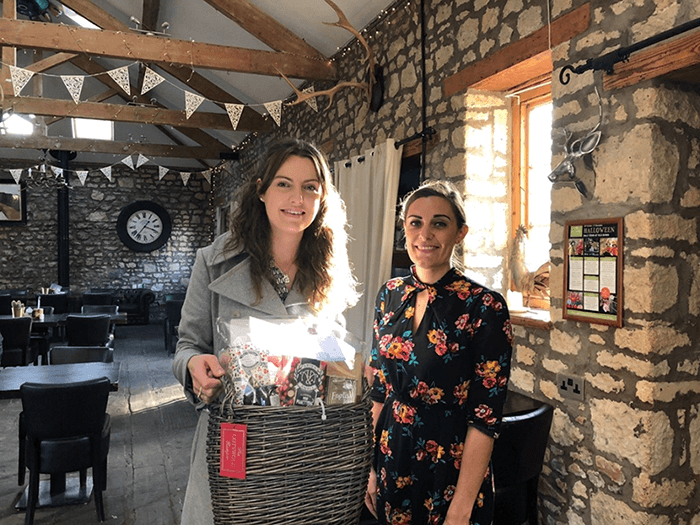 To celebrate such a great event, we held a free raffle to give away three luxury hampers to attendees of the event. These hampers were filled with wines, jams, teas and biscuits. From our three hampers came three very surprised winners – all of whom seemed delighted at their luck. 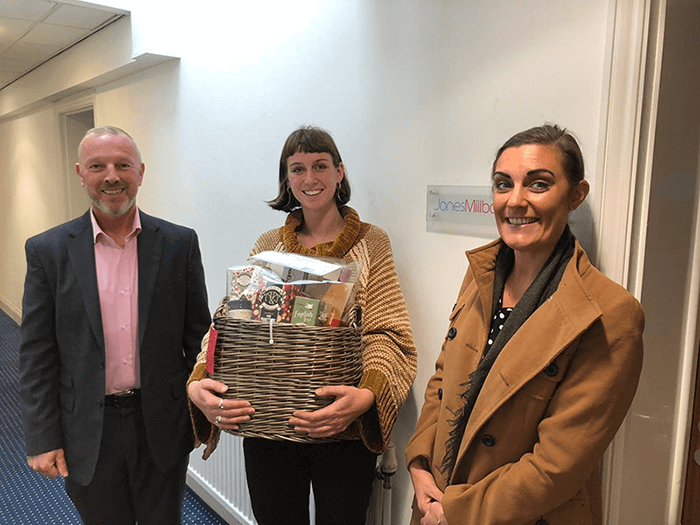 Our first winner was Maeve McKeivor of Video Production specialist, Jones Millbank in Bristol. Next up was Lucy Hicks of the stunning wedding and events venue, Old Down Estate. 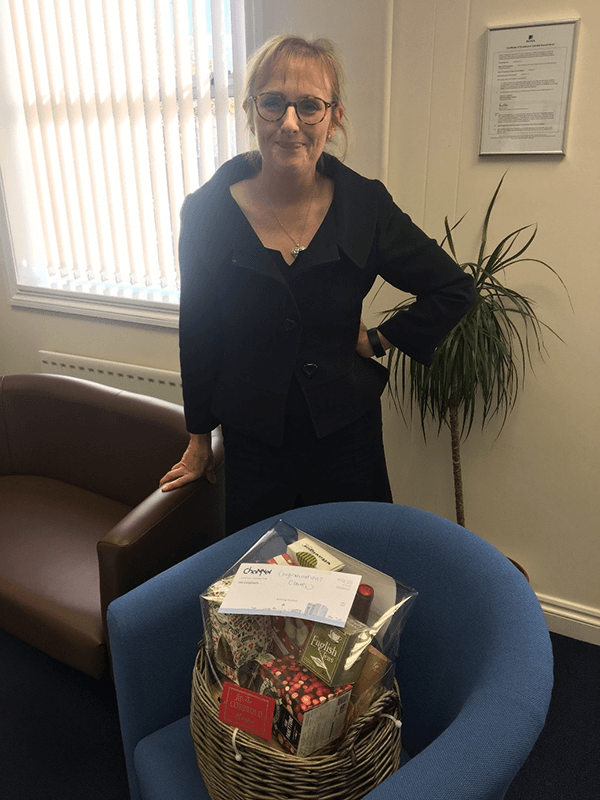 Our final winner was Claire Musson of south-west based Chartered Accountants, Albert Goodman. We had a very enjoyable and productive time at the Business Showcase South and it was great to see so many local businesses networking together. If you’re a Bristol based business looking to simplify your telecoms, we’d love to help you! To find out more about what we can offer your business or organisation, give us a call today on 0800 856 6900.